Come on a journey with me to visit thyroid patients from around the country who have taken back their health. We share tips and strategies that you’ve never heard before. Register here to view this episode. How is your thyroid health? Take this quiz. There are three keys to developing autoimmune thyroid disease: genes, triggers and intestinal permeability- or impaired gut function. The good news is that we can reverse them if we change just one of these! 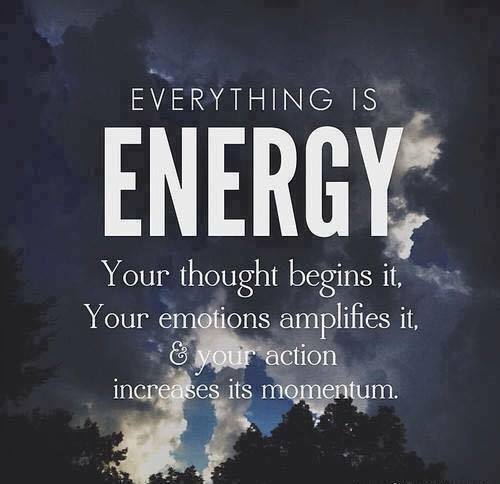 So let’s get to the finding your triggers and to fixing your gut once and for all! Quiz to get an indication of your thyroid health. Pregnancy and postpartum is a time in a woman’s life that should be filled with excitement, foot rubs, and picking out adorable baby clothes with friends and family as she welcomes her bundle of joy into the world. Sadly, for many people this dream is interrupted because of thyroid disease. So many women are robbed of what should be a magical experience of bringing new life into the world. Instead of excitement and joy, they are given darkness and suffering. But, I want to share with you some stories of women who have gone through the darker side of pregnancy and postpartum, and have found the light at the end of the tunnel, so that you can learn from their experiences and potentially prevent the devastating impacts of thyroid disease. Why? Because we deserve to be healthy in every stage of our journey and because our future children depend on us. Take this quiz to find out if you have thyroid issues. Why do some people succumb to sickness and why do others thrive? The key to staying healthy and getting healthy has to do a lot with resilience. Our resilience is largely dependent on the way we respond to stress and our stress response is largely dictated by two tiny glands you may have never heard of. The adrenal glands, which produce our stress hormones. The state of our stress hormones is not to be taken lightly. When adrenal hormones are out of balance, we lose our ability to be resilient. ALL YOUR FAVORITE FILMS IN ONE PLACE! It’s like Netflix® for health. 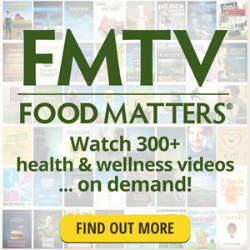 FMTV is more than just an online-streaming channel. It’s a destination where you can be guaranteed to find the best health documentaries out in the world. We personally search the globe for the most influential and life-changing films that exist because you deserve only the best! We seem to live in a day and age where health ailments and suffering are perceived ‘normal’. Headaches, fatigue, skin breakouts, bloating, upset stomach… Everyone seems to have these symptoms, and many even carry around their favorite ‘go-to’ drug in their handbag to quickly remedy their symptoms. However, I want to suggest a better approach… an approach that doesn’t only look at medicating symptoms… an approach that searches for the root cause of our health issues… and this approach to healing doesn’t start in the drugstore – it starts in your own kitchen. Before we dive into this episode, I want you to think about something, are you willing to go against the grain to get your health back? Chances are there is a problem with the health of your thyroid. 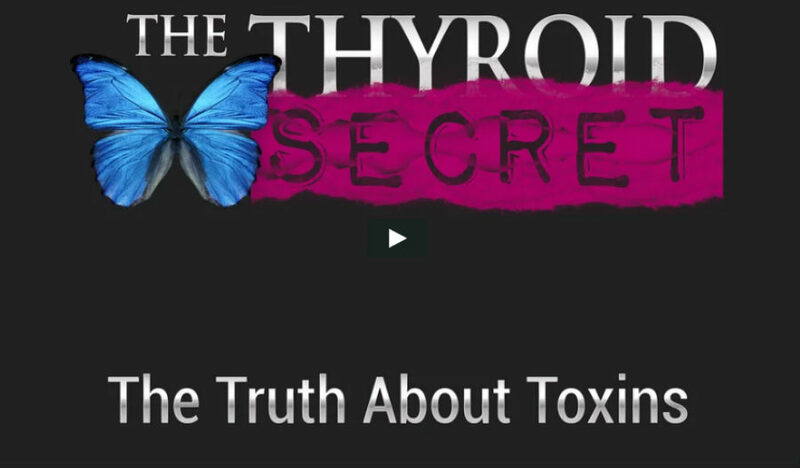 Episode 5 of The Thyroid Secret is now up for viewing. Take this 11-question quiz and find out your true risk. The quiz was designed by my colleague Dr. Izabella Wentz, one of the foremost researchers in thyroid health today.Not only that, Dr. Wentz is uniquely qualified because she had misdiagnosed thyroid disease for almost a decade until she finally got the answers she was looking for! Then, make sure to sign up to watch the remaining days of this Summit for free: you will get to watch anything you missed on the catch-up day coming up. Have you ever witnessed a family member slowly lose their memory? It starts with forgetting keys, then names, to finally entering a world of total confusion. It’s frustrating for them, but mostly for the family. Memory loss can be stopped… even reversed! We have pinpointed 7 culprits of memory loss that have absolutely nothing to do with your age..
Research show that causes of cancer are hidden in the most unexpected places. Certain lifestyle behaviors such as smoking and excessive sun exposure have been well known to cause cancer. But did you know that there are a number of hidden items in our everyday lives that puts us at high risk of developing the disease? It’s in coffee creamer, cheese, yoghurt… Most people are well aware of the benefits of consuming milk. But scientists warn of negative effects that dairy product has on human beings. Milk has been found to be linked to the cause of prostate and testicular cancer in men, as well as ovarian and breast cancer in women. Professor Jane Plant, a scientist and two-time cancer survivor, explains that cow’s milk, contains a natural growth hormone called “Insulin-like Growth Factor” (IGF). The same hormone that helps a calf become full size within 10 months also helps a tumor grow at record time. 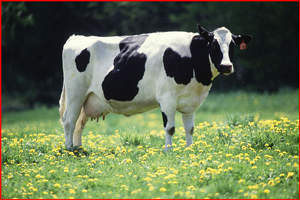 A study in Sweden has also shown that lactose in cow’s milk increases the risk of ovarian cancer. 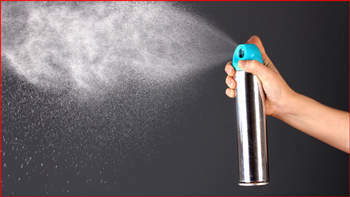 The same product that you are using to mask odor around the house, sanitize carpets and soft toys, as well as freshen up your car have been found to contain harsh chemicals, according to the Natural Resources Defense Council (NRDC). In a recent review, 86% of widely available air fresheners have been found to contain substances known as phthalates (pronounced THAL-ates). These are the same chemicals used to dissolve fragrances, soften plastics. 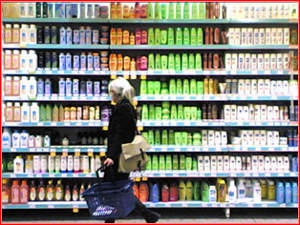 Phthalates are also commonly used as sealants and adhesives. 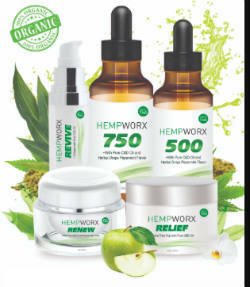 Some of the problems caused by these harmful chemicals include interfering with hormone production, and damages to the liver, lungs, and kidney. Just because your dentist has prescribed it doesn’t make it 100% safe for usage. 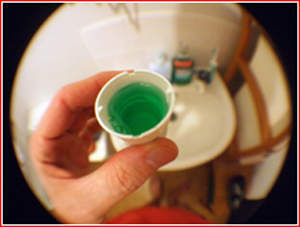 The antiseptic in most mouthwash known as Hexetidine or oraldene, has been identified by the World Health Organization to cause clotting in parts of the brain that control sensory and neural functions. It has also been linked to the development of tumors in the heart. At the same time, the Dental Journal of Australia has also found evidence that alcohol in mouthwash are responsible for the development of oral, head and neck cancers. Ok, so this is one of the more well known causes. 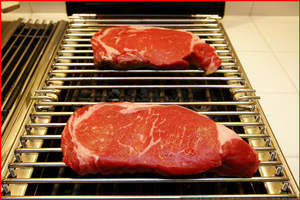 But it is still worth mentioning that Dr Oz has recently re-emphasized the link between cancer and red meats. Now it’s not just Dr Oz himself but the World Health Organization’s (WHO) International Agency for Research on Cancer (IARC) that have sounded the alarms. Meat that includes Beef, Veal, Pork, and Mutton have been known to be responsible for 15 different types of cancer, the most common is that of the colon. No matter what the method of cooking is, the risk remains high, and the only way to reduce your risk is by avoidance. Some of the most common brands of shampoo contain chemicals like Quaternium-15, DEA (Diethanolamine), MEA (Monoethanolamine), TEA (Triethanolamine) – known to cause leukemia, liver and kidney cancer. Human rights groups have been actively petitioning for the removal of such chemicals from their products, but to little or no avail. Big companies still have a long way to go in terms of putting people over profits. With all these danger lurking in your life, does it mean that you should totally change your lifestyle and avoid all of these products? Well, you may be able to do it if you don’t mind going strictly vegan, and making a huge sacrifice on your personal hygiene. Even if you do, chances are, you probably might have been in contact with a good amount of most if not all the listed chemicals, and it might seem too late to reverse the damage. 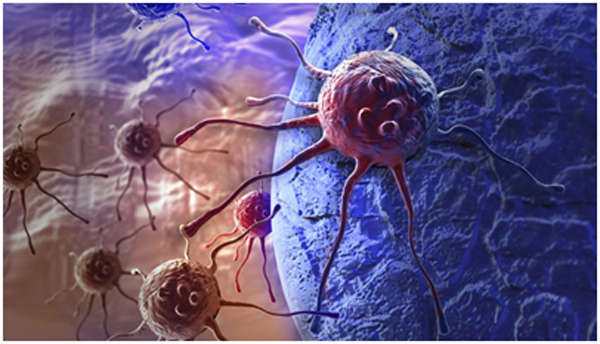 In fact, tumor cells are known to shrink when they are exposed to an oxygen-rich environment.